Taipei is fast becoming a tourist hotspot in Asia as travelers flock here in droves to visit the many beautiful temples and, of course, take a trip to the top of Taipei 101. And in a city where the tourism trade is flourishing, it should come as no surprise that Taipei has more than its fair share of chic boutique hotels. 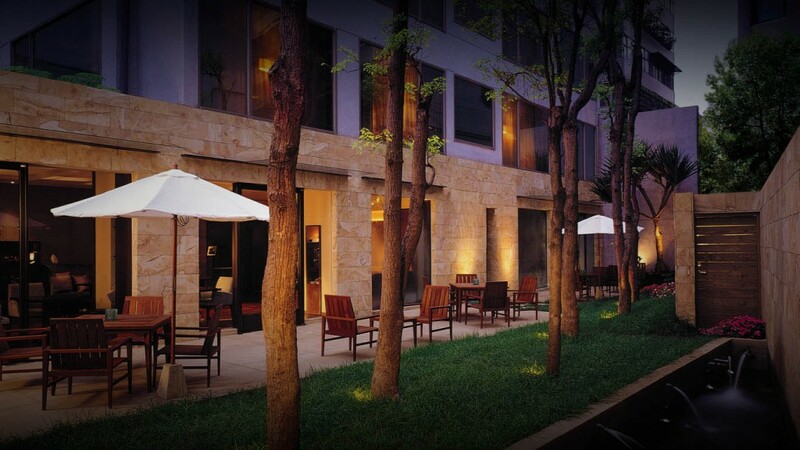 Classing itself as a museum hotel, Palais de Chine is a luxury five-star hotel located just a stone’s throw from Taipei Main Station and next to Q Square Mall. To say the décor is eclectic would be an understatement, as you can expect to find antique European furniture, carved eagles, and murals depicting mythical creatures. Nonetheless, this hotel still features all the trappings of the modern world with an outdoor pool and on-site gym being just some of the many facilities available. Marble floors, two-floor VIP suites, floor to ceiling windows, and incredible night views of the city – Roumei Boutique Hotel checks all the boxes in the boutique category. The décor throughout is uber stylish, featuring traditional soft tones fused with the contemporary lines of modern design. 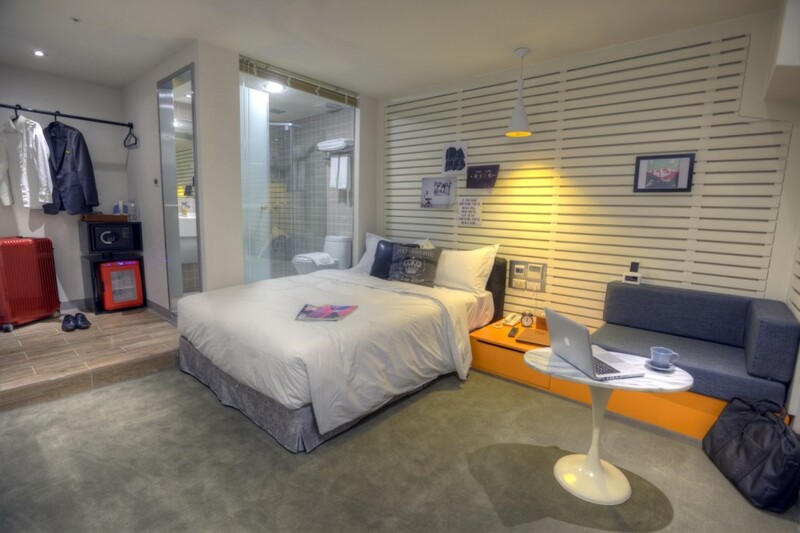 Set in one of Taipei’s coolest neighborhoods, Swiio Hotel in Ximen is the ideal location for a trip with a difference. In this area, travelers are away from the usual tourist destinations and will find themselves in the center of the city’s bustling shopping district for young people. The hotel itself is an interesting mix of wooden furniture with an industrial feel and swish rooms with bright, airy décor. Located in several neighborhoods throughout the city center, Via Hotels are on the lower end of the price range but still manage to offer a truly boutique experience for those on a budget. 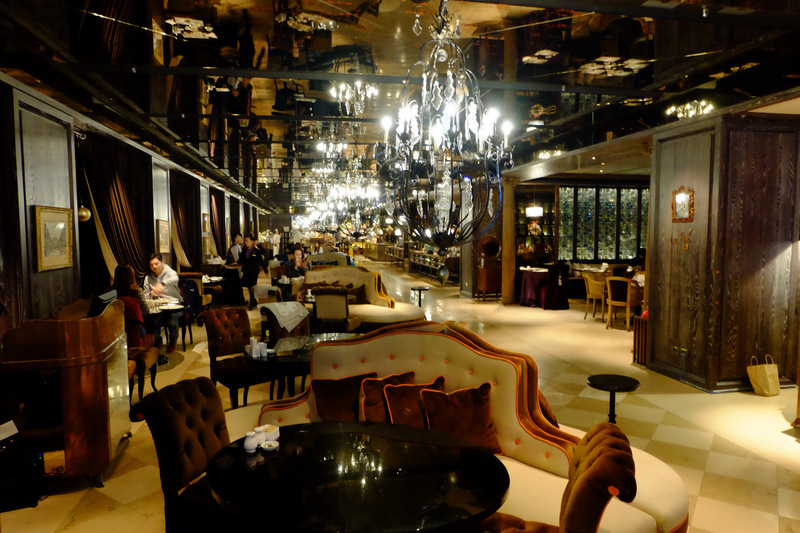 The most stylish of their locations is the exclusive shopping district of Zhongxiao, where guests can browse the high-end stores before retiring to a classy hotel complete with modern décor and comfortable rooms. Some guests might feel that it’s this hotel’s location at the northern side of Taipei Main Station that makes it an ideal base for a city trip, but there’s so much more to the vibrant CityInn Hotel. The décor is incredibly modern with orange and white throughout, along with wall murals and art that guests could spend hours gazing at. Just a short walk from the lively Linsen North Road, the San Want Residences are luxuriously furnished and feature contemporary art from some of the city’s most famous artists. The chandeliers and sculptures in the lobby are a perfect introduction to a hotel that oozes sophistication throughout each of its 81 rooms. Set in Daan, where there are so many things to do, this hotel promises a serene stay amid the organized chaos that is Taipei city center. Contemporary style permeates the building from the lobby, with its spiraling staircase to the rooms featuring hardwood floors and cozy furniture. Madison is one of those surprising hotels that makes a holiday all the better for staying there. An incredible location right next to the Miramar Ferris Wheel earns Wego Boutique Dazhi a place on any list of best Taipei City hotels, but it is the stunning décor and truly personal service that puts it on this list. 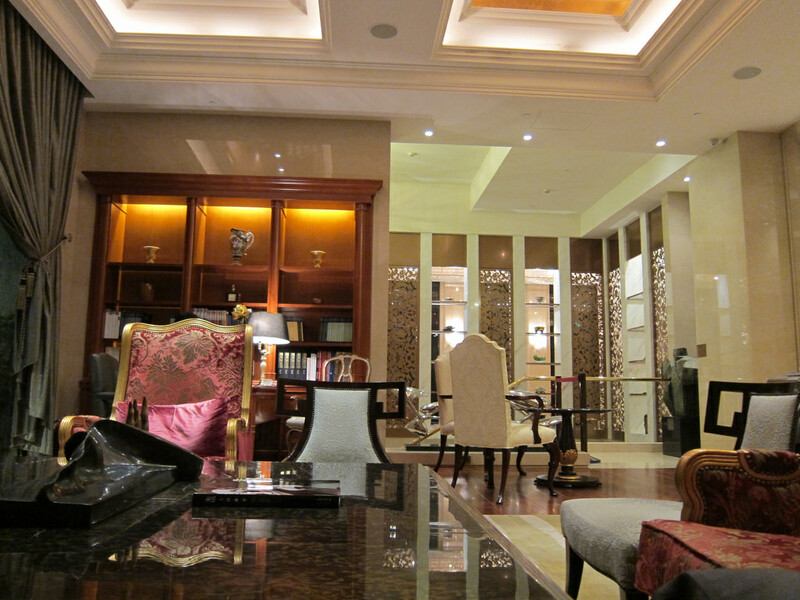 The rooms are ultra-modern, some with a European feel and others with dark contemporary colors and furnishings. There’s even a room with a silver-colored padded wall. At this hotel, they promise to offer European-style sophistication with minimalistic furnishings that have a hint of Asian influence. Les Suites Taipei is a haven in the busy city and has an incredibly relaxing garden area complete with outdoor seating. From soft carpets to parquet floors that shine, this hotel certainly plays the boutique card extremely well. Compact elegance and luxury is the overall theme throughout this truly stylish hotel in Daan. With modern art hanging on the walls and some rather interesting cherub-like statues watching guests dine, this is another boutique hotel with its feet planted firmly in the eclectic category. A stay at Hotel Éclat is one that guests will never forget.